It’s always fun when I get to play with supplies from my favourite companies. It’s even more awesome when it’s for a fun release celebration! 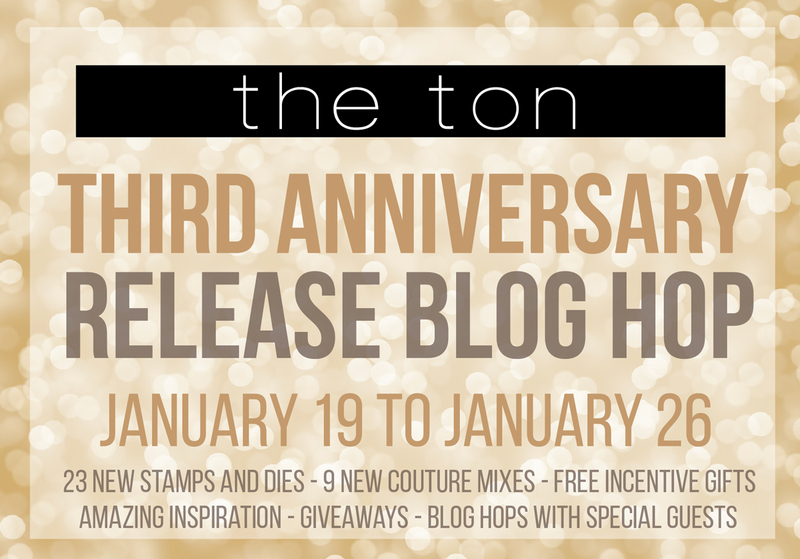 Well, today is one of those days as I’m joining a bunch of other talented ladies in celebrating The Ton’s third Anniversary! 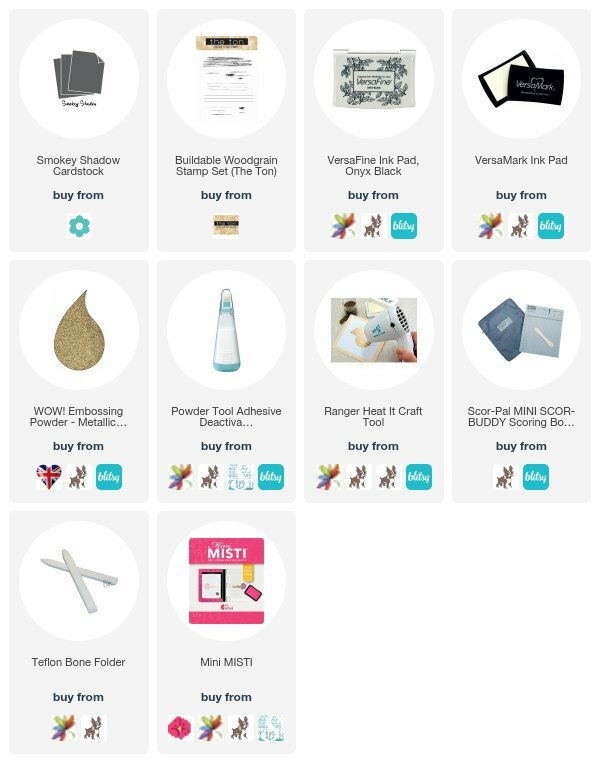 I think if you’ve visited here before then you’ll already know just what I think of this amazing company. 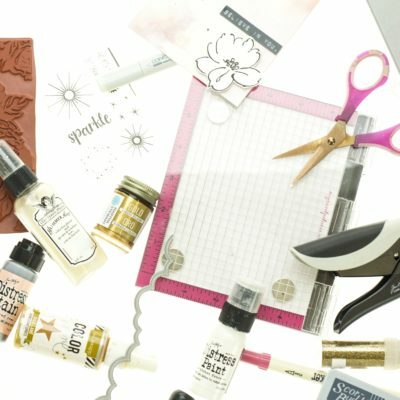 From Day 1 I fell in love with their stylish, unique designs – and I’ve been in love ever since! And though The Ton has hit three years old, I can say with certainty that they’re definitely not going through a ‘toddler phase’, lol! In fact, from humble beginnings, they are bigger and better than ever, boasting a collection of 254 stamps (in three years!! Effie is the most prolific designer I have ever known!! 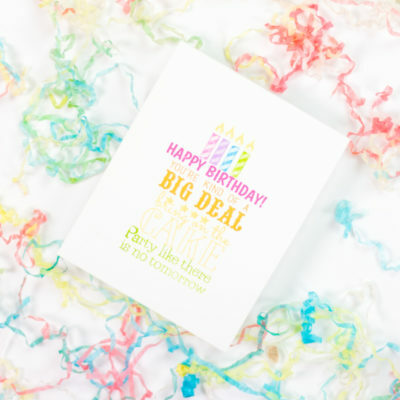 ), an amazing and vast collection of inks, a fantastic selection of embellishments, and even some superb glittery papers! Outstanding for such young company, it truly is! So I’m delighted to have been invited to participate in their Anniversary celebrations today. Happy Birthday, The Ton! Here’s to many more!! 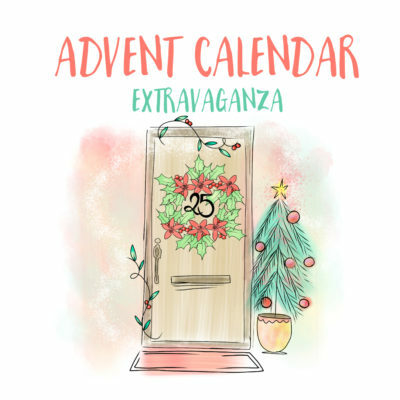 I have a number of cards for you today, and a fun giveaway to boot! Let’s get the party started! 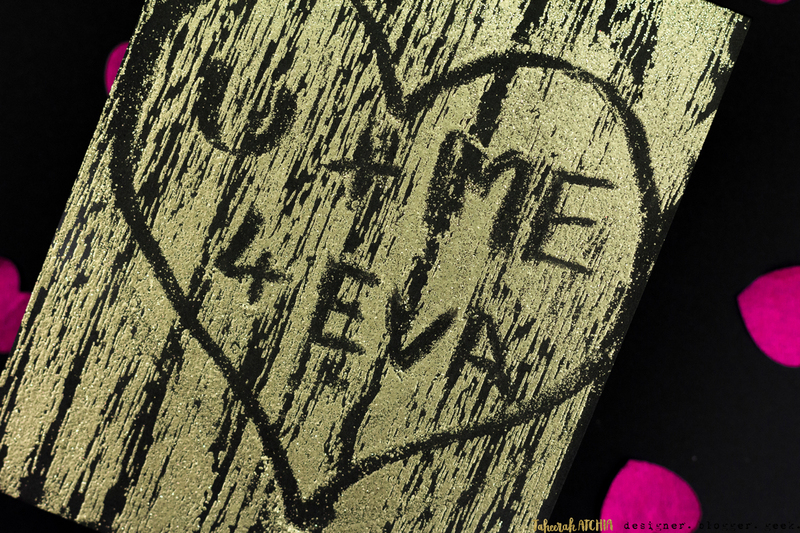 I’m starting with a really loved up card, featuring the awesome new Smooched stamp set! I love lips stamps and really enjoyed creating my background using a variety of pigment inks for an authentic lipstick look! Anyone recognise the inspiration for these lips?! 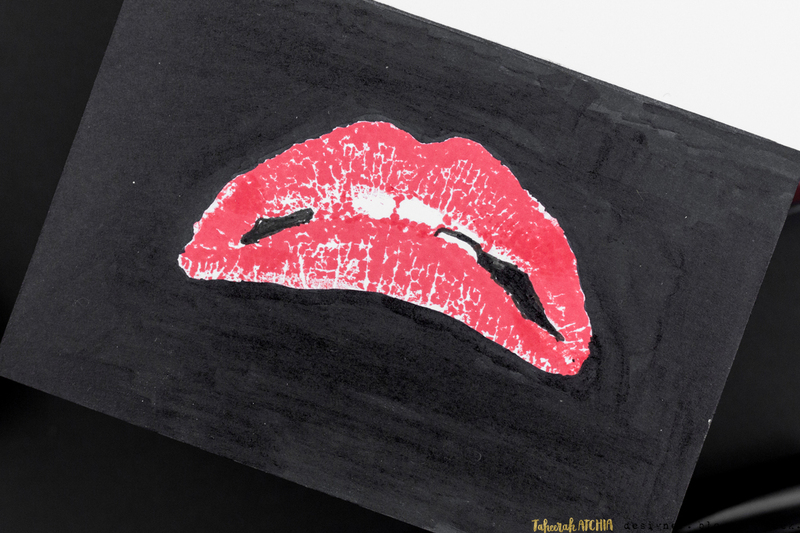 I took my cues from The Rocky Horror Picture Show – and I love the results! 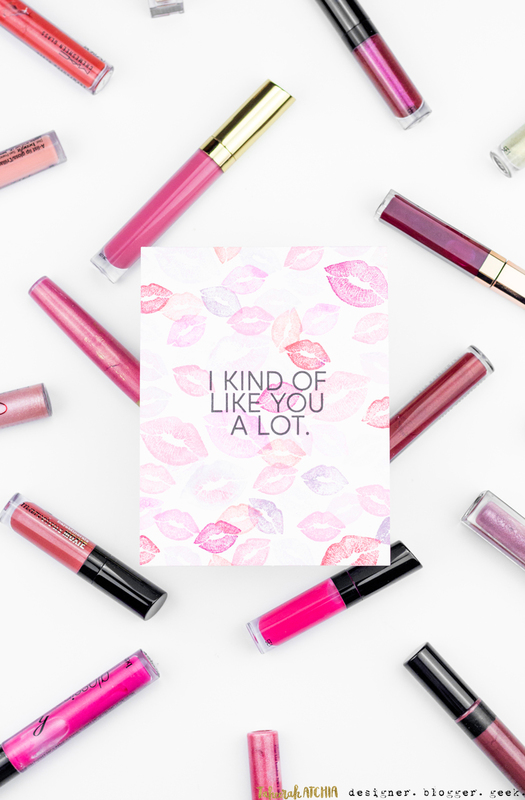 You might be looking at the Smooched set and wondering where this lips image is! Well, I created it using the largest lips stamp, and some creative inking! I stamped part of the top lip first, then turned the stamp upside down and stamped part of the bottom lip! I then kept inking alternate corners from top and bottom of the lips, rotating my stamp until I’d produced the lip effect I wanted! A little dotting of ink in the white space created the teeth, and a bit of black colouring did the rest! I am *so* pleased with how it turned out!! 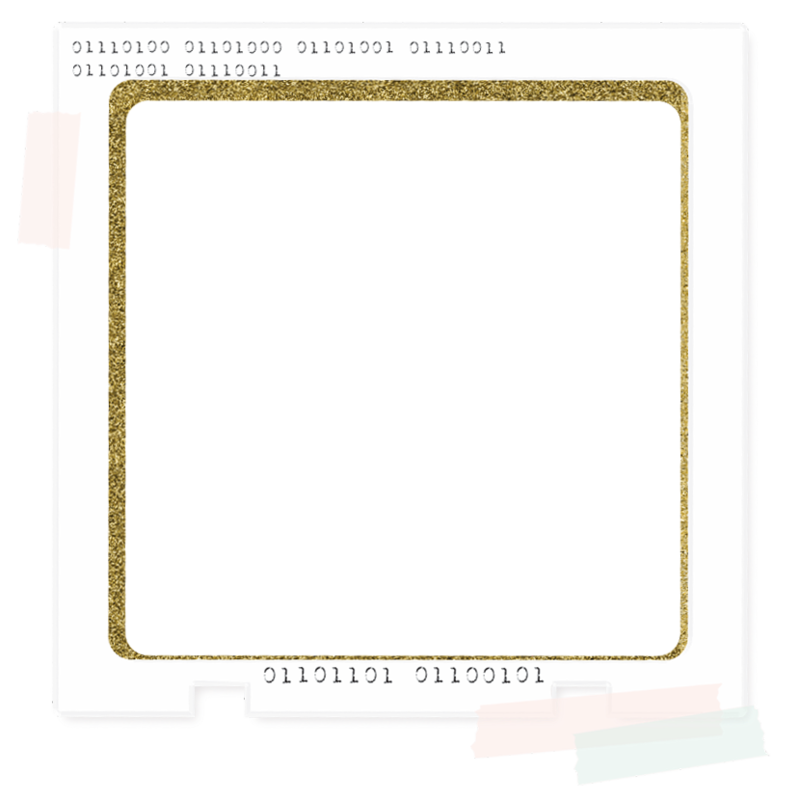 I wanted the rest of the card to resemble a movie poster, so I coloured the bottom half of the card black, leaving the top half white. I used the same red ink from the lips for the sentiment. This one is going on display in my house!! 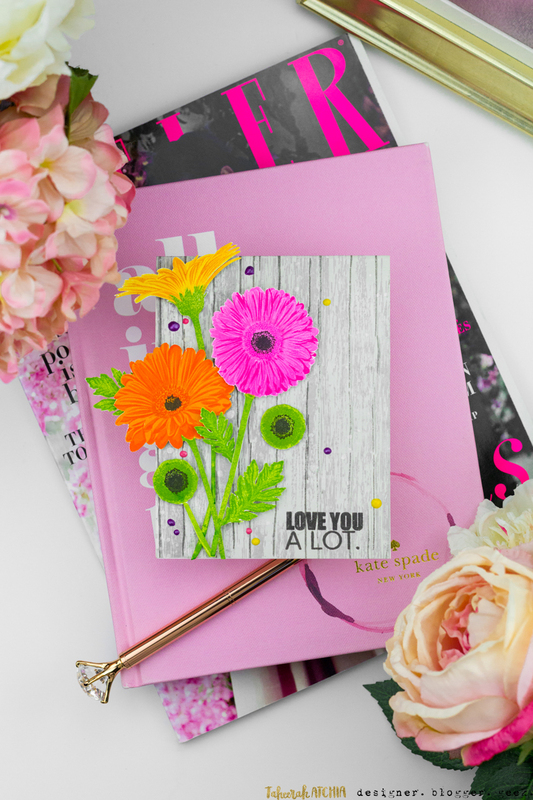 I just *love* Gerbera Daisies and had been one of a few people who requested a set of them from Effie, and she certainly didn’t disappoint! Just look at the detail on these babies! I stamped one of each type of daisy, using shades of pink, orange, and yellow for my bouquet. I also quite liked the look of the centres as types of flowers in their own right, so I stamped a couple of those in shades of green too! I stamped just the base stalk from the sets, then when trimming out my flowers I extended the stalks and inked them in the same shade. This really gives more options with bouquet creation and flower placement! A couple of leaves, and some Pinflair Glue Gel for custom dimension, and my bouquet was all assembled! Let’s talk about that background, shall we? 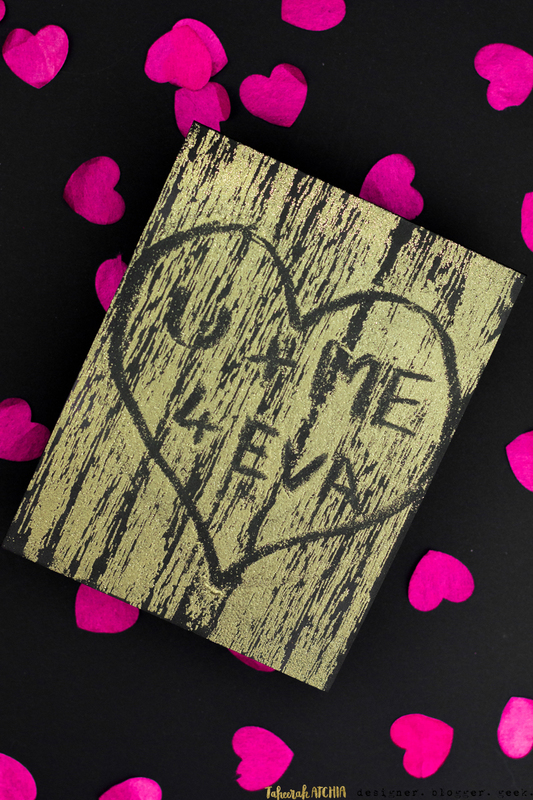 It feature the Buildable Woodgrain stamp set, which is set to become a staple in my stamping arsenal! I just love how I can create a number of different looks with it! Some Nuvo Crystal Drops finished off my card nicely, along with a little mist splatter, both of which helped frame my bouquet nicely! Kinda swooning over this one! That black and glittery gold combo is divine! 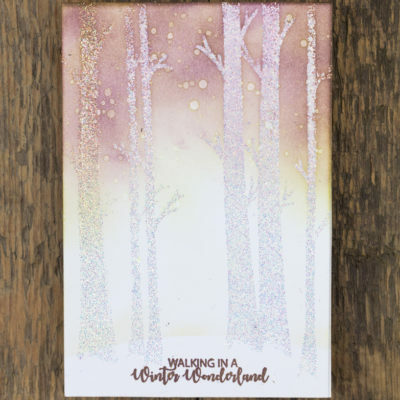 I used several stamps in the set to build up my woodgrain pattern, then sprinkled on some sparkling gold embossing powder. Before I heat set it though, I used a tool to scrape away some of the powder to ‘carve’ a love heart and sentiment, just like you would on a tree! Still swooning over this one!! Fabulous bunch of cards! I love that “I hate you the least” sentiment; so fun. Cheeky and awful, but fun (and sometimes true!). Love your first card. The staging is great! Very fun cards! 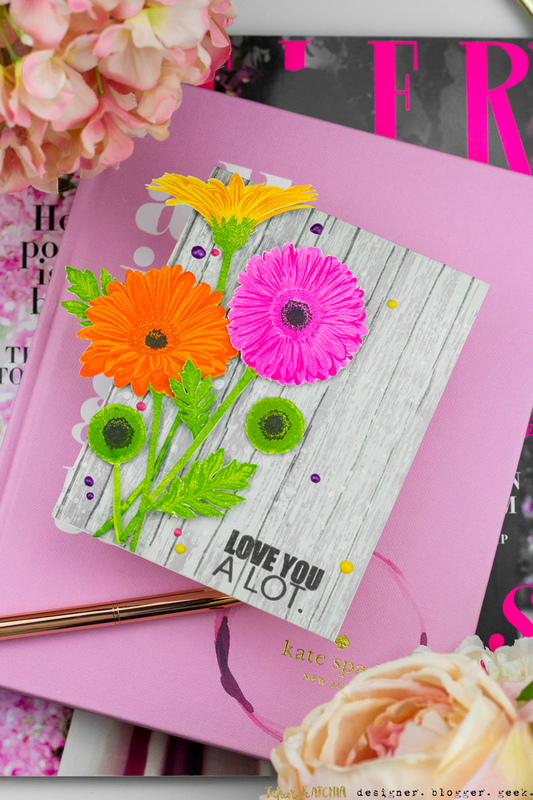 I’m partial to flowers, so I really liked your daisy card with the woodgrain background. Thanks for sharing! Okay, these are all AMAZING!! 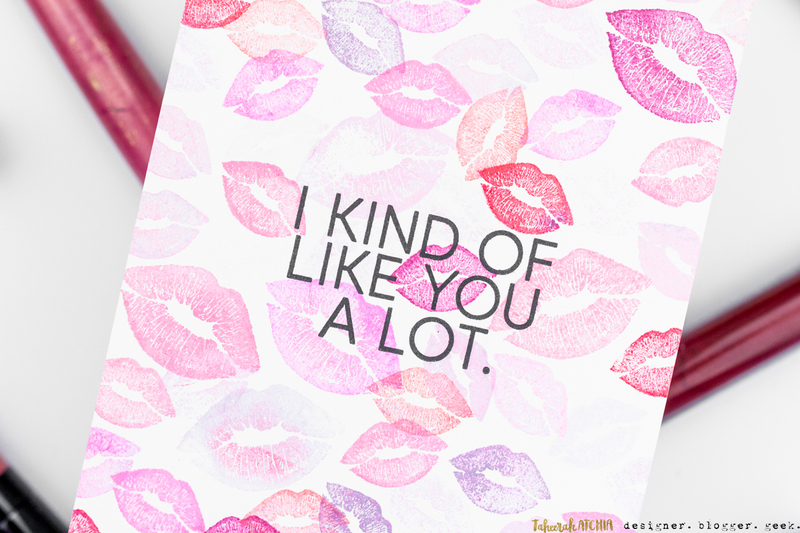 Love each and every single one, especially those Rocky Horror Show lips and woodgrain! So awesome! I have to say,the lips gave me a giggle.Each card has there own life,and I loved each one. Oh my ! I love your bundle of cards ! They’re so fun and unique ! oh wowo those are gorgeous cards! I loved the lip cards!!!! 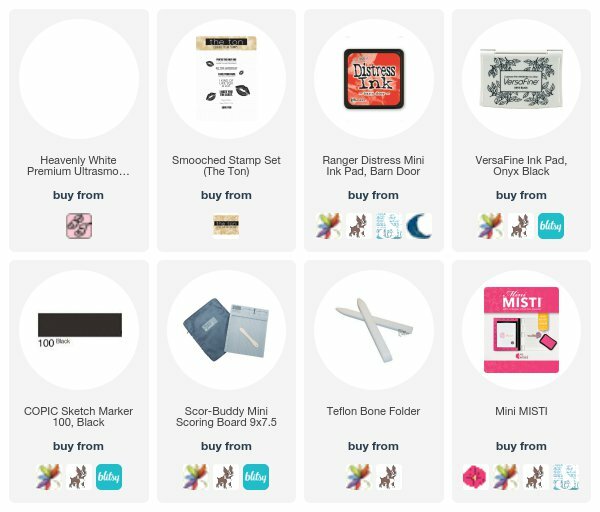 Thanks for the fun inspiration! 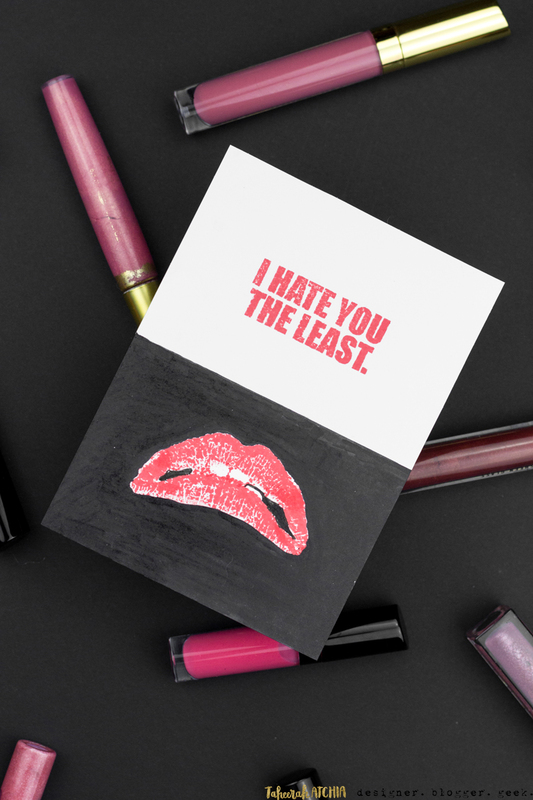 Love the I hate you the least with the Rocky Horror lips!! Rjeally lovin’ those woodgrain cards! That embossed one is really cool. The daisies look fantastic and really add alot with the cheery colors. You did an incredible job on the “frown” lips-very inventive. I have enjoyed seeing your work. Some of my favorites of your beautiful creations! Awesome unique cards! Love the tree message, great idea!! Fabulous cards! 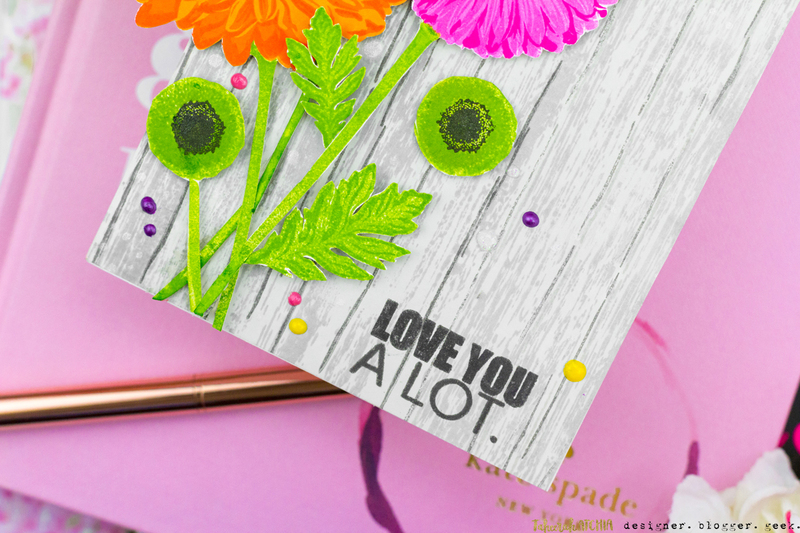 The Gerbera daisies against the woodgrain background is my favorite! Love the colors! Beautiful cards Taheerah! So innovative ideas! My favorite is the daisies!! I love love love the colors you have used. I adore the first card! Amazing cards!! Great great cards, absolutely adore the Rocky Horror ESC card, love the imagination you have to create it, you and it rocks ! Love your creativity on these cards! And those daisies are so lifelike. I thought the Rocky Horror mention was great! I think my favorite cards were the flowers on the wood grain background. So bright and I love the grounding look of the woodgrain. Thanks! SO. MUCH. FUN!! Love the smooches!! 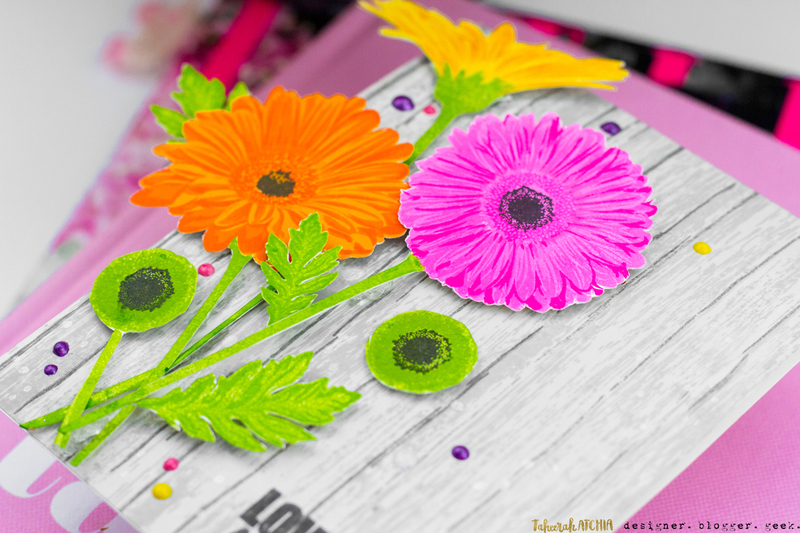 And those neon daisies against the realistic wood grain panel!! Oh my gosh. 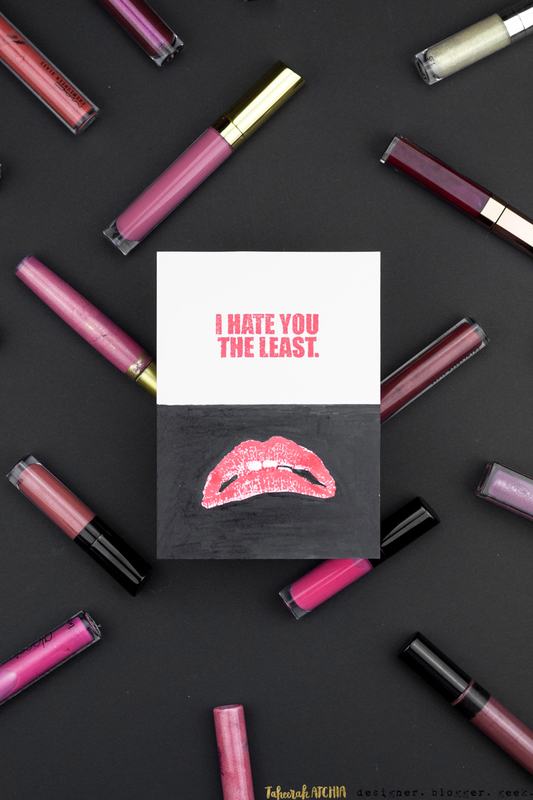 Your lip cards cracked me up! So cute! Smooches is my favorite! Such fabulous cards Taheerah! Love your designs! The first and last cards are my favorite! Brilliant idea scraping away the embossing powder to look like carving in a tree! Unique and very clever cards, Taheerah!! Love the first one with the smooches background. I knew I was going to be in for a treat hopping here, but wow! The movie lips and the woodgrain are fantastic. So creative. Love that! Awesome cards and ideas. 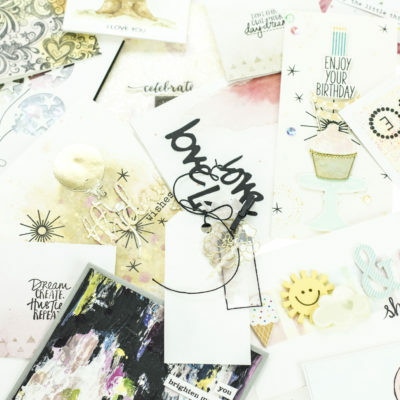 Awesome cards, great variety of inspiration! 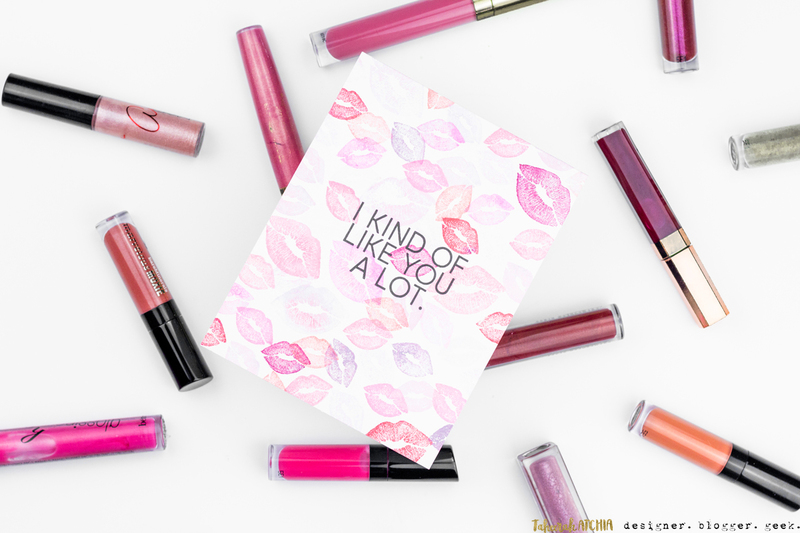 I love the lips card especially! these are so fun and fresh! 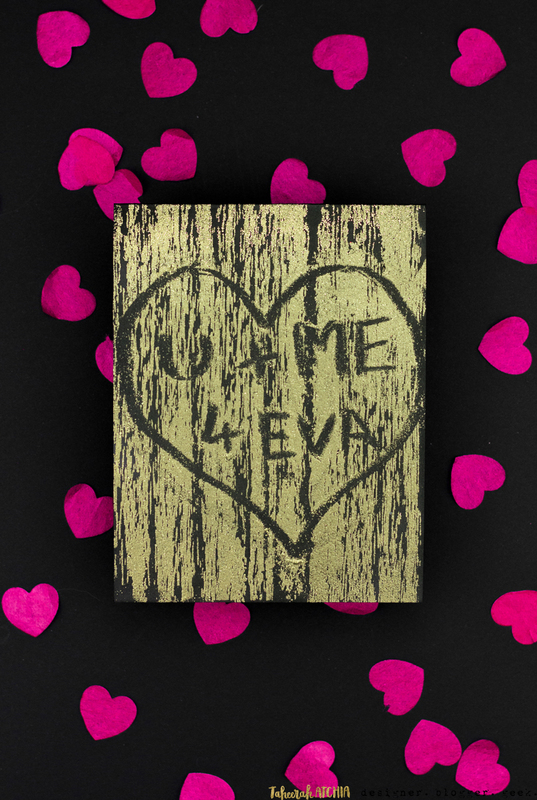 Clever lip cards and love what you created with the woodgrain. Wow! You are so creative! 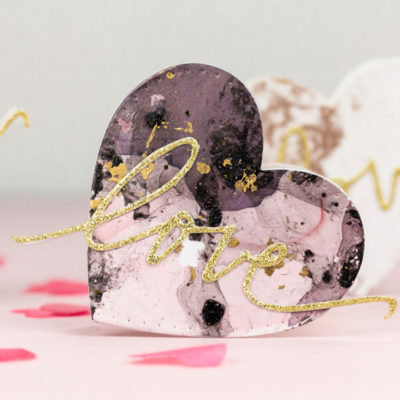 This is a fabulous group of cards, but I really swooned over the first card with all of the smooches. Thanks for the ideas and the chuckles! wonderful, clever cards, Taheerah! 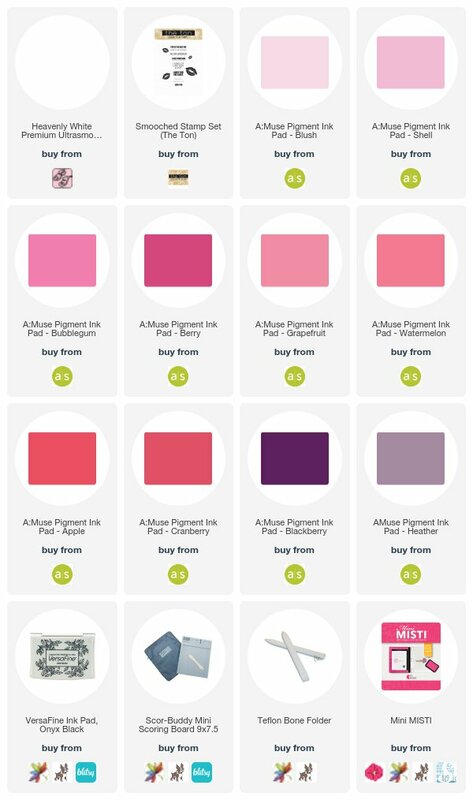 love all the lipsticks for photographing your cards!! Great selection of cards, all are pretty unique. 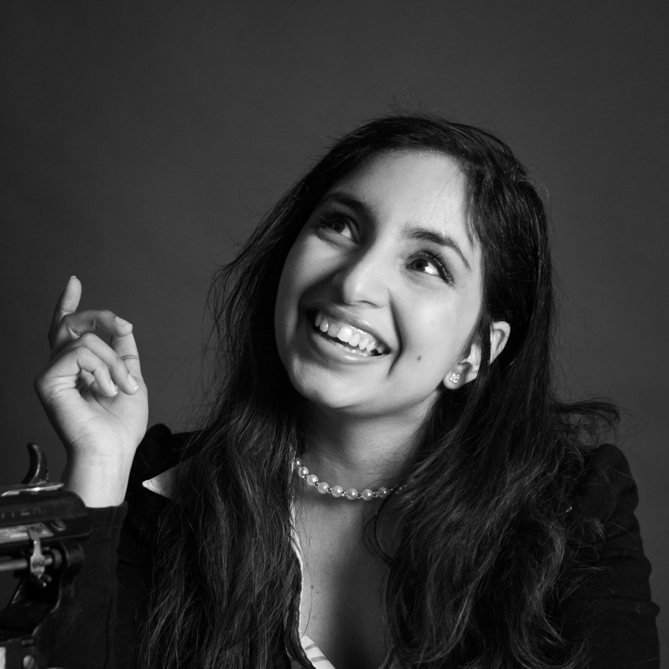 The first one is my favourite, and I love the photo props – very fitting! 🙂 Thanks so much for sharing and inspiring! Your cards are so beautiful and unique. Such talent!! So Unique and very creative use of stamps on your card ! The lips cards are very unique and creative! Such a fabulous collection of cards! 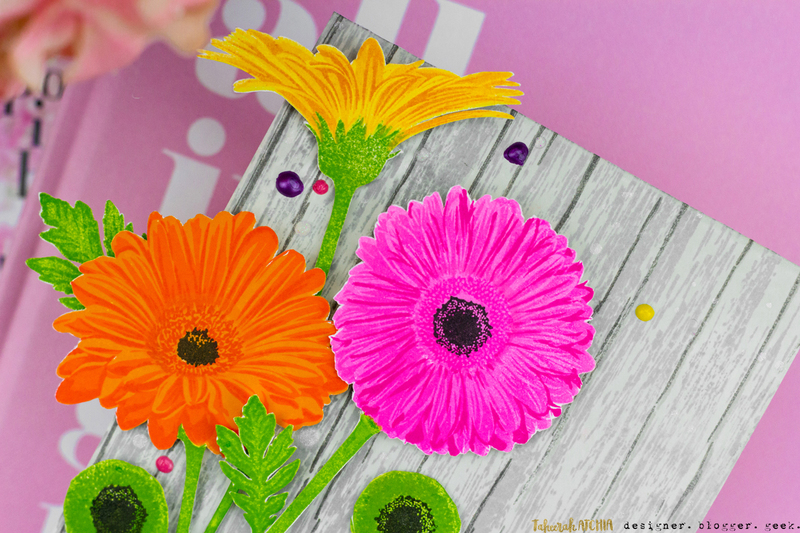 The detail on the gerbera daisies is amazing! Love your cards! That daisy stamp is gorgeous. 1. 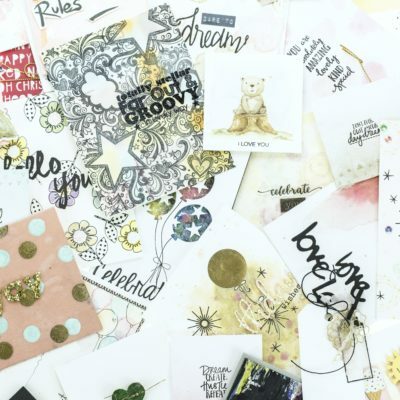 I didn’t think I needed that smooches stamp set until I saw your cards… amazingly talented!!! 2. The gold and black rocks!!!!! you are so talented. that’s all!